The April 2018 issue of Caves and Karst Science is now available. Volume 45, Number 1 carries six main articles, starting with an appreciation of Dr Trevor R Shaw, speleo-historian extraordinaire, to celebrate his 90th birthday. There are contributions from many of his friends, including those from the Karst Research Institute in Postojna, Slovenia, with which he has been closely linked for many years. There is also an impressive list of Trevor’s many publications. A paper entitled The earliest time of karst cave formation by Susan Q White, Ken G Grimes, John E Mylroie and Joan R Mylroie examines cave genesis in various karst environments, looking at the various processes that lead to cave formation. The aquatic invertebrate fauna of the Ogof Draenen cave system in South Wales, UK by Lee R F D Knight, Anton Brancelj, Francois Edwards and Lou Maurice looks at the invertebrate fauna in Ogof Draenen cave system in South Wales, investigated between 2012 and 2015 with 59 sites being sampled. The results of this work are presented in detail with a total of 7,010 invertebrates collected. These samples represent only a tiny fraction of the habitat present. The presence of five stygobiontic Crustacea from the system makes this the most diverse stygobiontic fauna recorded so far from a British cave. Phillip J Murphy, Shirley Everett and Petie Barry look at the ‘gulfs’ of Greenhow Hill, North Yorkshire, UK, with some further notes and an example from Ireland. 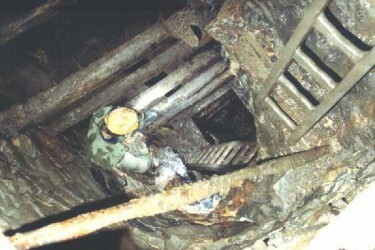 This paper examined the vertical sediment-filled cavities encountered by miners working in the Greenhow Hill mining field. A large, vertical, dissolution cavity in Ireland that has many similarities with the Greenhow Hill gulfs is described, and its occurrence suggests that features of this type might be more widespread than was previously thought. Abroad, Georgios Lazaridis, Thomas Theodosiadis and Vasilios Athanasopoulos. Talk about Ice caves in Greece, with the aim of improving their recognition and classification. Their distribution, morphology and the type of ice that they contain are discussed. The inventory created for ice caves in Greece includes 76 records, and this will become the basis for a newly established human-based monitoring system. Stephen A Craven writes about the Montagu Guano Cave, South Africa’s latest show cave and describes the cave’s commercial, biological and archaeological history. 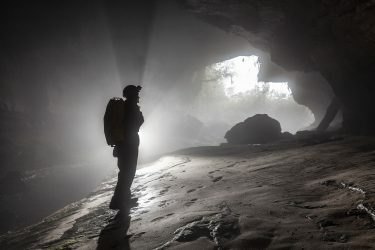 The Forum section has the abstracts of the science presentations at the celebration of the Golden Age of Cave Exploration held at the RGS in London in December 2017. 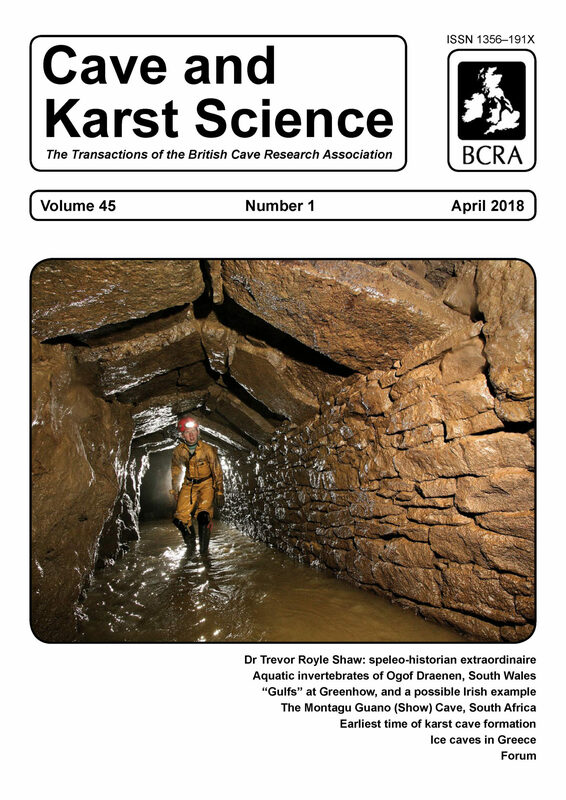 Caves and Karst Science is published three times a year and is free to paid up members of the British Cave Research Association. Non-members can obtain copies for an annual subscription of £28 (+ postage for non-UK destinations). 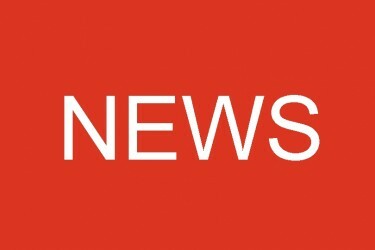 A discounted student subscription is available. The publication contains a wealth of information and represents excellent value for money for anyone with an interest in the science of caves. It is well-presented throughout, with a clear, attractive layout.